Before introducing the little complex ratchets structure, let's check the principle of ratchet design. The gear can only rotate in one direction (clockwise or counterclockwise) because of the pawl, and the amplitude of the swing is fixed. 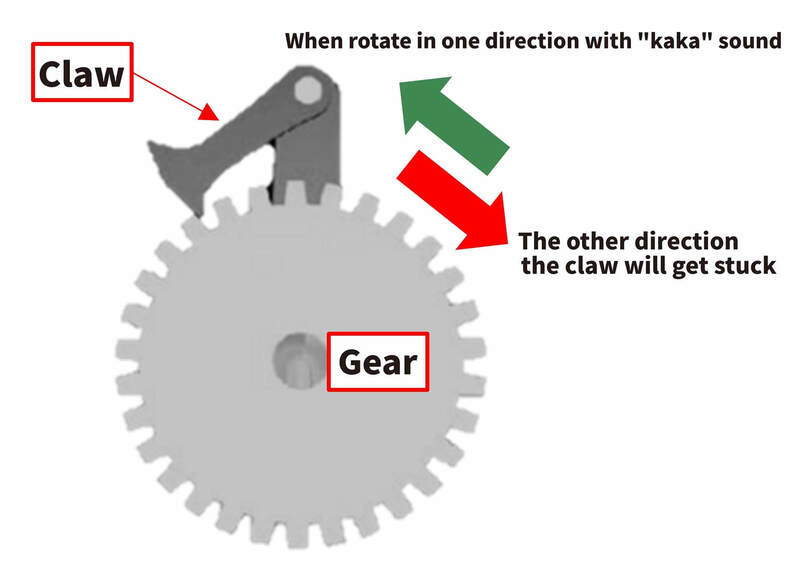 When the claw and the gear do not get stuck, the ratchet can be easily rotated in its direction and sound with "Ka ka". If rotate in the opposite direction, it can cause power called torque. From above image, it indicates that the ratchet rotating direction and pawl design is combined together. However, the most important things are the match size bwteen gear and pawl as well as its hardness. They will affect the torque performance of the ratchets. Generally speaking, two main popular structure designs are in the ratchet market. One is Round Head Ratchet and the other Standard Ratchets. 1) The gear postion matters. In the standard ratchets head, gear is in "Driver Head" In the round head, the gear is on the ratchet body not driver head. 2) The position of pawl and the gear matching have big influence on the ratchet. Why does the pawl and the gear matching have the big influence on the ratchet? 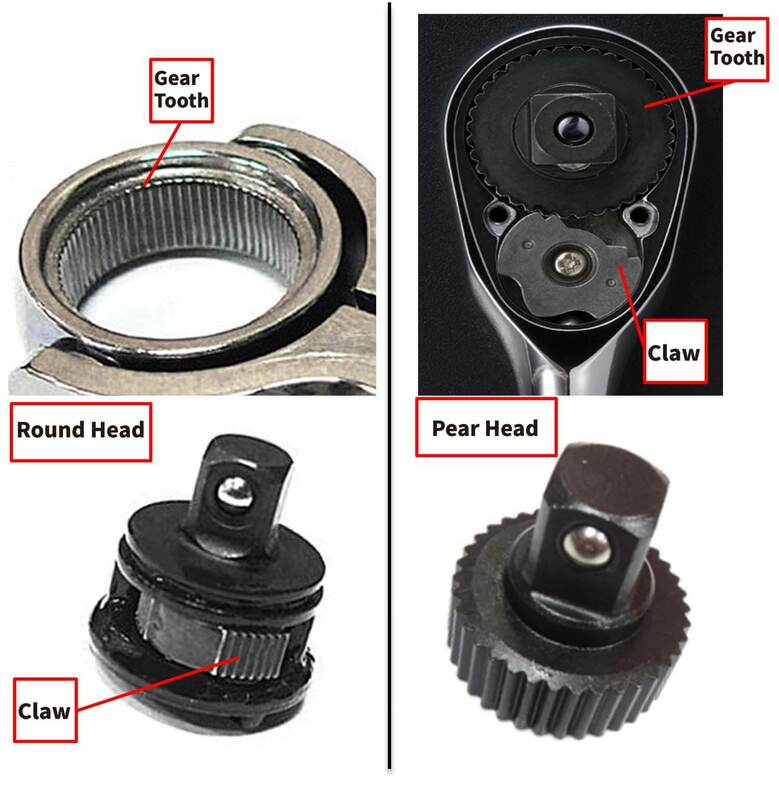 The reason is because the ratchet is designed to use to drive the socket, so the torque is requirement. And if the matching between pawl and gear is no good, it will cause jump teeth or gear or get stuck. 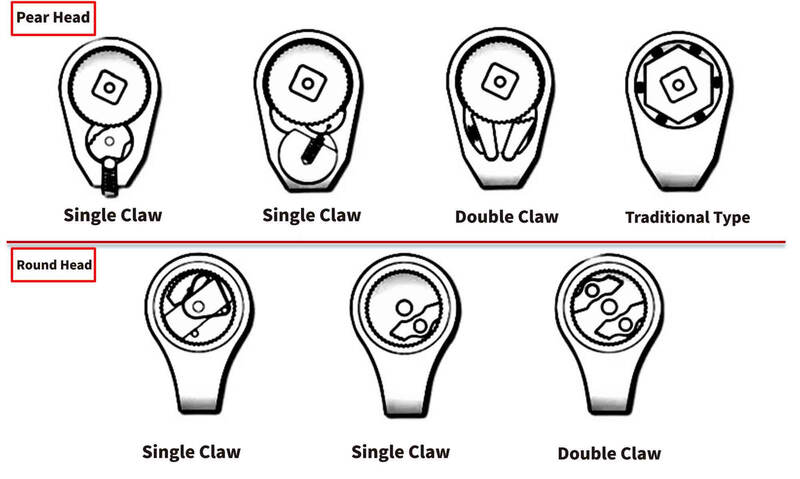 Even worse, the pawl or teeth may broken while the torque is still below DIN/ANSI standard. The torque is required in Europe (DIN/ISO) and USA (ANSI). Below chart is Tien-I laboratory requriemnt for every ratchet that Tien-I manufacturer to our global clients, which we will require 1.3~2 times than ISO/ANSI specification, depends on the gear ratio and OEM customer's requirement. We want to make sure the end user safe, and the durability of Tien-I ratchet is long than the market average ratchets. The ratchet design seems simple but the structure is complicated. It has to be light and small. And it's important for the match between parts inside of ratchet. Material, CNC, and heat treatment are all the necessary requirement for the good ratchets. This is the only path to make a reliable quality and innovative ratchet. Dimension ANSI (NM) SPEC. TIEN-I SPEC.